It’s always a plus to me when I go to a show and have a lineup of bands that really have nothing in common, other than the fact that they fit in that ever widening definition of alternative rock. The show Sunday night at Vinyl Music Hall was such a show. You had From Indian Lakes going from layered dreaminess to aggressive indie rock, and Tokyo Police Club with their infectious indie pop with a punch. Both bands have seen their fair share of the road, but this was our first opportunity seeing them, having missed Tokyo Police Club at Shaky Knees in 2014 because of scheduling. We have been following From Indian Lakes since their excellent 2012 release Able Bodies caught our attention and since we have had a regular Wednesday night radio show on Radio Free Pensacola, we have consistently played We Are Sick from that record. They followed that up 2 years later with an equally excellent Absent Sounds, which contains probably one of my all-time favorite songs, Breathe Desperately. Since then they have released the EP Wanderer, which contains three new tracks with acoustic renditions of two tracks from Absent Sounds. All of their recordings are brilliant collections of music which belong in everyone’s personal collection, however hearing the material performed live brings out an edgier sound not found on record. It’s quite addictive. Makes me want to see them again. During the set, front man Joey Vannucchi promised new music in the near future so we will definitely keep our ears alert for that. Tokyo Police Club burst on the scene in 2006 with A Lesson In Crime, which contains Cheer It On (a station favorite!). They followed that up with a classic record Elephant Shell. Each record is filled with alternative rock goodness both aggressive yet catchy. Both records solidified their place on the festival circuit and they had garnered spots at Coachella, Lollapalooza, and UK’s Glastonbury. 2010’s Champ seemed to signify a band on the rise and then they seemed to disappear from the radar a bit. They finally came back on the music scene with 2014’s brilliant Forcefield with its eight minute plus Argentina (Parts I, II, III). We find it very cool that a band whose tracks usually clock in at two and a half to three minutes can pull off an eight minute track. But pull it off they did. They are currently touring in support of the EP Melon Collie and the Infinite Radness (Part 1) which brought them to a very excited crowd Sunday night in Pensacola. The band blasted through a set scattered with songs across their entire catalog, and provided an intense musical experience that sounds just as good in a packed club as a large festival stage. 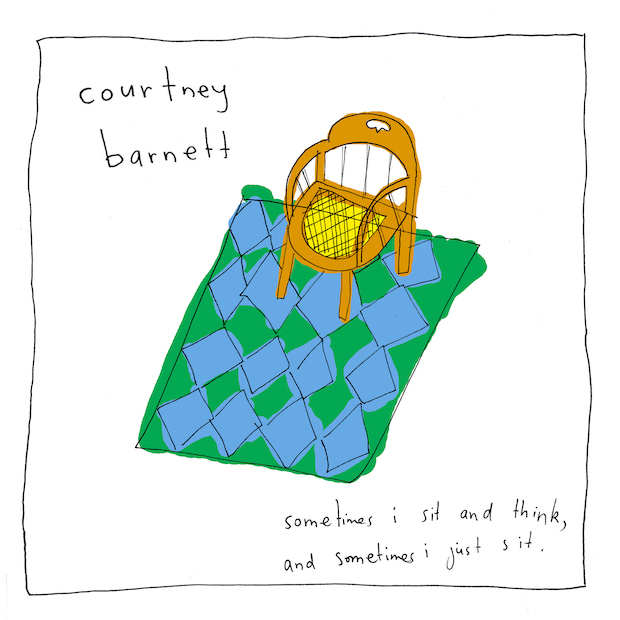 This year is turning out to be a great year for new releases and something new from Courtney Barnett is always good news. Via Pitchfork, we just learned that a new record is on the way and you can check out a new video below.